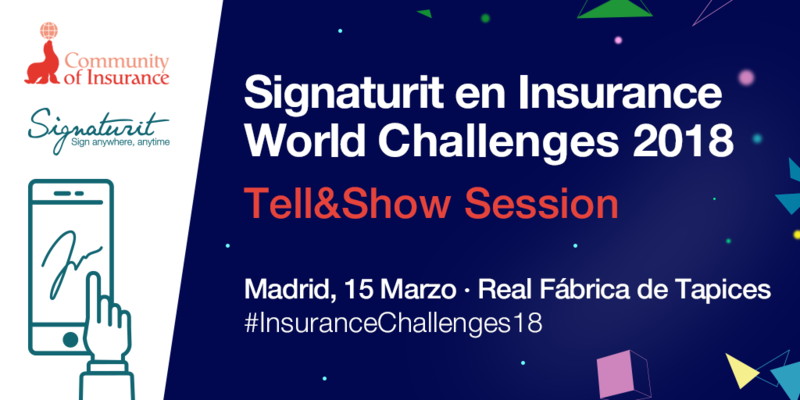 The insurance sector is coming up to an important date in Madrid on the 15th of March: the Insurance World Challenges event, a leading international conference in the sector that will be held in the Real Fábrica de Tapices this year. And Signaturit will also be there. Under the slogan "la tecnología transformadora de la industria aseguradora" ["transformative technology in the insurance industry"], this event is presented as an excellent meeting to network among insurance professionals. Sharing, debating and reflecting on current challenges and future trends is the main objective of this event. In this post, we offer you all the relevant details of the event at which our CEO will participate with a demo in the Tell&Show session. What is Insurance World Challenges all about? Insurance World Challenges is an international conference on challenges in the insurance sector related to growth, innovation, changes in global structures, successful business models, marketing strategies, digitisation, and new consumer trends. Related post >> How are insurtech companies determining the future os the insurance sector? Although we are living in the digital business era, these professional conferences are necessary because they bring people together in the same space with common objectives: to add value to the sector, meet new clients and generate business. This meeting is, therefore, the ideal place for any insurance company, since the organisers, Community of Insurance, have planned it to facilitate dialogue and uncover possible synergies or new partnerships between attendees. Last year, under the title Insurance World Distribution Challenges 2017, a large part of the European insurance and financial sector focussed their attention on Madrid at the conference also organised by Community of Insurance. In the Hotel Meliá Castilla, more than 200 attendees enjoyed two morning and afternoon sessions, where Insurtech played an important role as providers of digital services and products. The insurance sector in Spain is generally characterised by its innovative nature and by its lack of aversion to change. In that context, we are seeing how the leading role of technology is growing, transforming the sector from the operational point of view. For this reason, during the meeting we will be able to benefit from various presentations by specialists who will share their knowledge and experiences about the challenges and opportunities offered by the digital age and innovation in this sector. Signaturit is one of the companies invited to the event, which is a great opportunity to show live our new project that we are already developing together with the insurance company DAS. 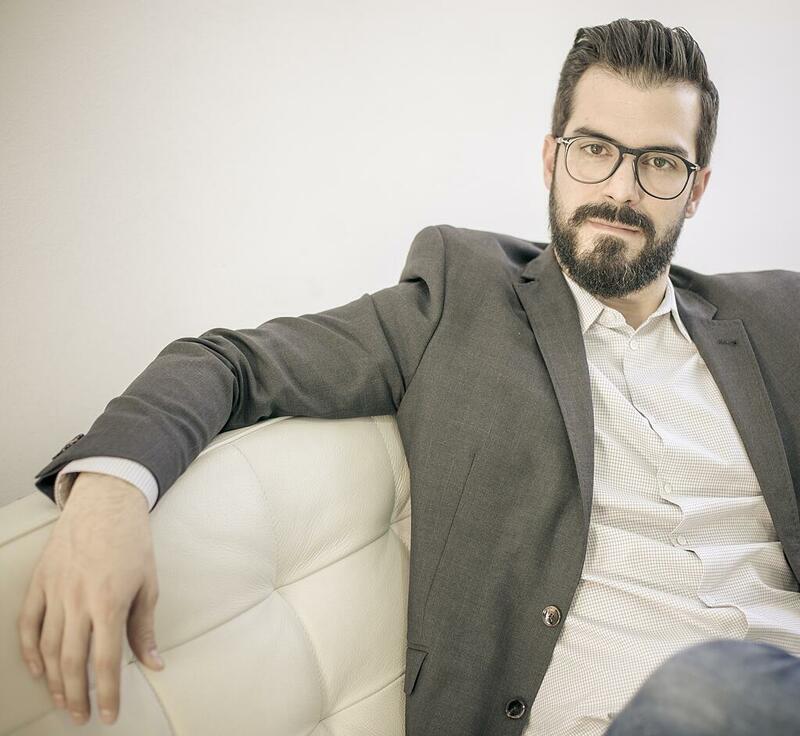 What will Juan Zamora, CEO of Signaturit, talk about at the conference? In the "Tell&Show" section, Signaturit will present just after the first group of conferences, dedicated to blockchain technology. Our CEO, Juan Zamora, will talk about this topic in his presentation, since the project we are developing together with DAS is about one of the blockchain applications: smart contracts. Signaturit will announce the first Smart Contract project, specifically for insurance contracts covering leases. However, the objective of this initial project is to allow all types of companies to take advantage of the potential of blockchain by means of the use of this type of contracts. Signaturit's Smart Contracts will allow automation and facilitate the payment of policies, sending of notifications and renewal of contracts, offering traceability of all actions carried out from the entry into force of a contract until its termination. In this way, the proceedings will be faster and more convenient for both parties and compensation will be paid more quickly. our new Smart Contracts project. This session will be very illuminating for all attendees, since they will understand the importance of digital innovation as leverage for change in terms of growth, business development and transformation of the sector. If you are also attending and want to learn more about our smart contracts project for insurance companies, don't miss our talk. We hope you've already got a ticket because the tickets are completely sold out due to the success of the event.